It's time again to mark your calendars and Make Your Reservations for May! (Can you believe it's already almost May?!?) 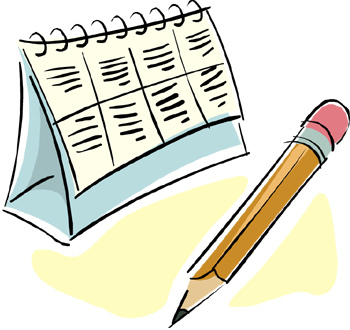 Here are some of the great books we are looking forward to next month. Are any of these upcoming books on your list? If so, which ones? If not, which books are on your list? Avery’s popular pizza place is right across the street from the inn, giving her a firsthand look at its amazing renovation — and a newfound appreciation for Owen. Since he was her first boyfriend when they were kids, Owen has never been far from Avery’s thoughts. But the attraction she’s feeling for him now is far from innocent. Allison was supposed to be Wolfe’s way into the case, nothing more. But she’s ambitious, stubborn, and far too tempting. With the help of her contacts at the Delphi Center crime lab, Wolfe is within striking distance of the monster he’s pursued for ten years. Except the closer Allison and Wolfe get, the more reason there is to fear. Because with a predator this brutal, every thread of evidence can make a difference between hunting a madman—and becoming hunted yourself. even if he is fairly gorgeous and knows his way around a toolbox. The Marquess of Haddan, Gryffin Owain Dwight (Gryff to his friends) has grown tired of his life as a rakehell rogue and he's ready to turn over a more serious leaf. But fearing that any serious endeavors from a man reputed to be a devil-may-care soldier would be laughed at, he keeps his essays on landscape design a secret. When invited to a country house party by a group of indolent young rakes who look up to him, he accepts only because the estate is famous for its magnificent grounds. Never does he suspect that a chance encounter in the garden will change his life forever. A widow at just 24, Eliza, Lady Lampson, has already rescued her impoverished noble family by marrying for money once. Now that she's free, she has no interest in remarrying, and wants only to pursue her passion for gardening and botanical paintings on her family's ancestral estate. She is wary of her brother's rakish friends and goes out of her way to avoid any contact when they are visiting from London. But when she meets the infamous marquess in the gardens, she instantly senses their powerful mutual attraction. And though she tries to fight it, she and Gryff embark on an illicit affair. Unfortunately for Eliza, her irresponsible brother is incurring staggering new debts and begging her to rescue him financially by wedding a rich friend-a debauched nobleman who has plans to force Eliza into using her art to help him with his criminal activities. Meanwhile she and Gryff continue to meet, and find that their physical passion is matched by a joining of their creative talents-a publisher is producing a fancy book of Gryff's essays and he's chosen Eliza to do the botanical illustrations. Eliza hopes that the money she earns will free her from her family's selfish demands,but an ultimatum from her brother and his friend makes her future seem increasingly grim...until Gryff decides to fight unscrupulous rivals and his own inner demons, hoping for the seed of a new life to take root between him and Eliza. Arden is an undercover agent for one of the most powerful organizations of this steam-powered world—the Wardens of the Realm, a group with extraordinary abilities, dedicated to protecting England against evil. He’s been ordered to assassinate Arden as retribution for her part in the killing of a Company agent. Luke remembers nothing of his life before The Company, a corrupt agency that has erased his memory. Even so, something prevents him from completing his assignment. There is something familiar about his lovely target, something that attracts him and fills him with dread. For he knows that if he doesn’t kill her, someone else will—and kill him as well. 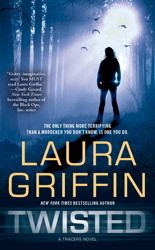 I'm a fan of Laura Griffin's Tracers series, so I'll be looking forward to "Twisted." Isn't the cover for Be My Prince gorgeous, Beebs? I finished an ARC of TOO TEMPTING TO RESIST last night. It's wonderful! I am definitely looking forward to The Last Boyfriend, so she what Nora's cooked up for Avery and Owen! :) (Though I admit the book I'm really anxious for is The Perfect Hope,despite my reservation that Hope came off a tad too Mary Sue in The Next Always). The new Stefanie Sloane is also on my list, but it comes out at the end of the month, so it may be considered a May release? Love Laura Griffin and Roxanne St Claire. 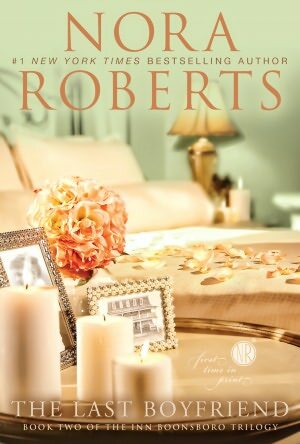 And of course Nora Roberts. Looks like a good month coming up. It will be a good month, Trish! No more good books, PLEASE!!!! I can't keep up. I had not heard of Kate Cross, but the blurb sounds good. Have never read Steampunk and this sounds like a good place to start. All the other authors are on my "Watch List" and their new books will most likely be added to my ever growing TBR Mountain. A good problem to have - unless you are my husband trying to figure out where to build another bookcase. These look like some great reads, haven't read Nora Roberts for a while. Love Kristen Higgins books. So kind of looking forward to all of these. 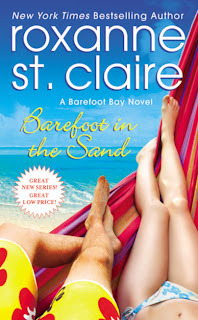 I’ve already read the Higgins along with Robyn Carr’s Sunrise Point, Diane Chamberlain’s The Good Father, and Sherry Thomas’s Beguiling the Beauty, and Barefoot in the Sand is next in line on my Kindle. Kate Cross is new to me, but I agree with librarypat that the book sounds fascinating. All the rest are on my TBB list. 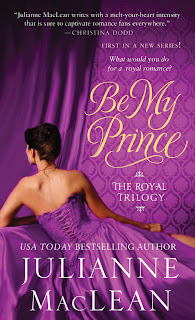 Those not on your list that I’m most eagerly anticipating are Mary Balogh’s The Proposal (Gwen’s long-awaited book) and Mary Jo Putney’s Lost Lords #4—No Longer a Gentleman. Others I’m looking forward to include Crystal Gardens by Amanda Quick, The Saint Who Stole My Heart by Stefanie Sloane, The Shoemaker’s Wife by Adriana Trigiani, Lady Maggie’s Secret Scandal by Gwen Burrowes, The Long Shot by Ellen Hartman, The Cowboy Sheriff by Trish Milburn, Marriage of Mercy by Carla Kelly, Unbuttoning Miss Hardwick by Deb Marlowe, and Lucky in Love by Jill Shalvis. I'm looking forward to SOMEBODY TO LOVE. Kristan Higgins's books are so much fun. They are fun, Na! And if I'm not mistaken, I believe this is her first written in third person POV. Oh my goodness, they all sound like wonderful reads. And such wonderful covers too. I still need to read the first in Nora's new series in addition to this new one. 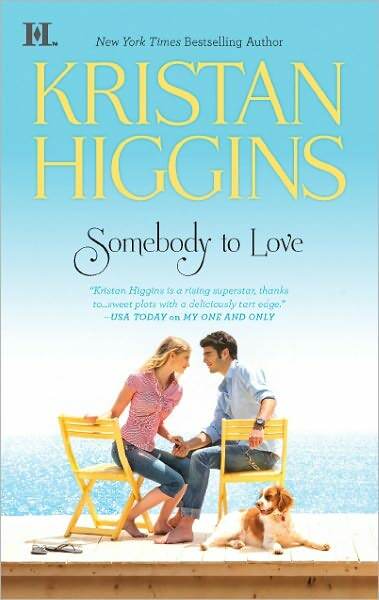 The new book by Kristan Higgins sounds good. I've never read anything by Laura Griffin before, but this book sounds really good. I love romantic suspense, so I'll have to check her out! Trisha, I definitely recommend giving Laura Griffin a try! I loved Nora Roberts Bride Quartet series and am looking forward to this new one too. I tend to try to wait until a series is complete (unless it's a rally long series) so I can read them all together. All of these books look good - there just isn't enough time to read all the books I want to. Ooh, Cathy Maxwell has a new book and it sounds good! Can't wait to read it. I know! And this is the first in a new series! Oh you Dishes are up to it again; it's April 12 and you are already tempting me with new books! The all look terrific to me! All the contemps listed. So glad to see you always present them. 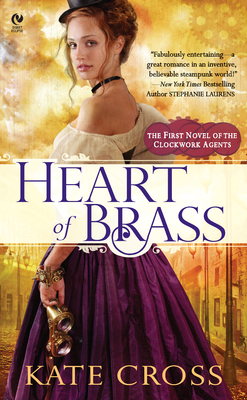 I can't wait to read Lyon's Bride and Heart of Brass. Kate Cross is a new Author for me. I loved the blurb. And Be My Prince. Thanks for this post and reminder of what to look forward to in May. Definetly Kristan Higgins. I'm also waiting for KMM's Ice and Jessica Sims'book.It's just hard to be patient for next months or year.